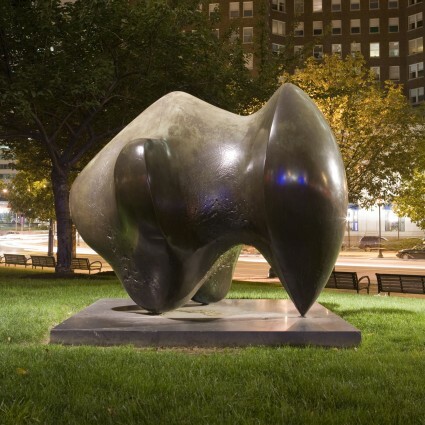 Alexander “Sandy” Calder descended from a family of famous Philadelphia sculptors. 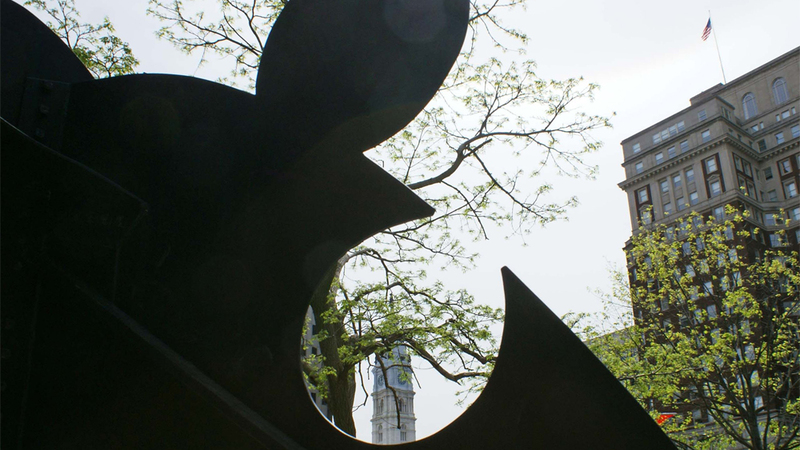 His father’s Swann Memorial Fountain on Logan Square and grandfather’s City Hall sculptures (see William Penn) represent artwork from three generations. 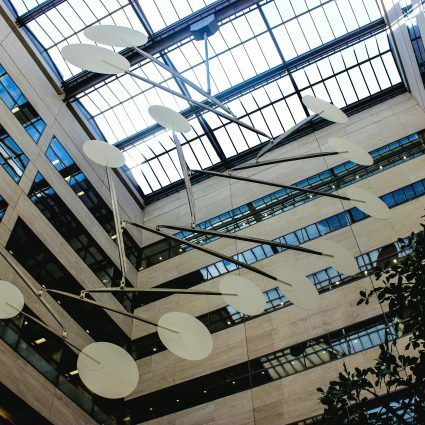 Trained as a mechanical engineer and artist, Calder invented “mobiles” and “stabiles,” such as this stationary work, as well as paintings, toys, tapestries, and jewelry. 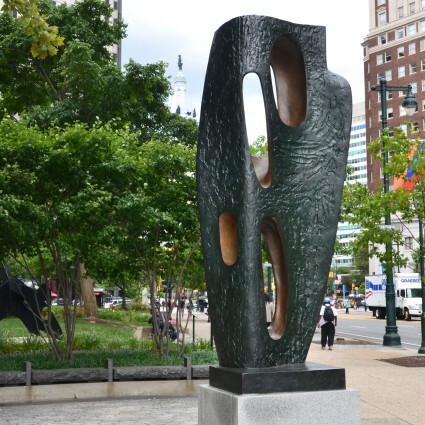 Edmund Bacon, Director of Philadelphia’s City Planning Commission, purchased this iron alloy painted sculpture for the City in 1968 with funds from the National Endowment for the Arts and the Pennsylvania Railroad Company. 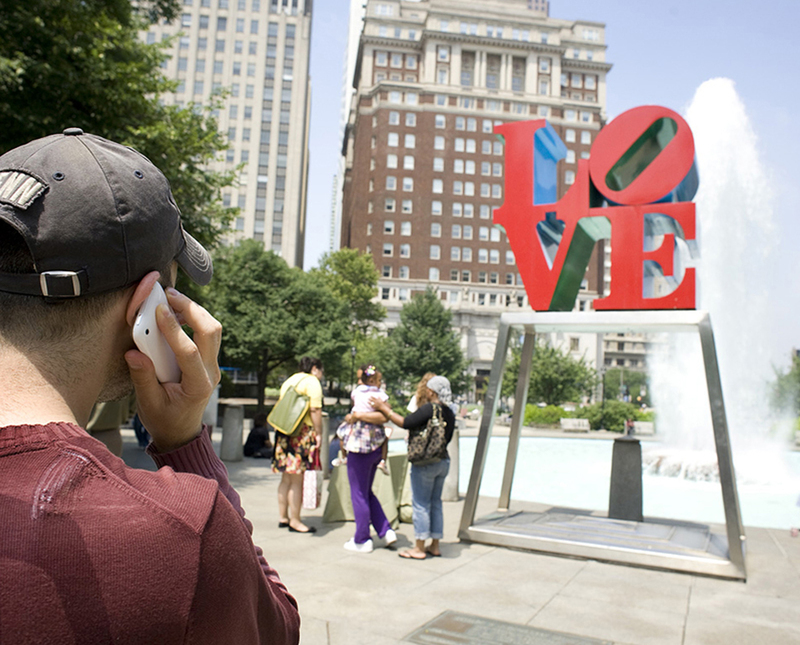 Donald Lipski is an internationally recognized artist who lives and works in Philadelphia. Elizabeth Hutton Turner is an art historian who serves as an Advisor to the Calder Foundation.